Is India the next China of mobile games? Manish Bhatia is a Computer Engineer by profession, and has been working with Winjit Games for 11 months as a project coordinator. He is passionate about India's games industry development, and aims to soon establish himself as a games industry evangelist. Mithun works towards building the indie development community of India and popularizing game culture by providing coverage of local events and hosting meet-ups, game jams and talks. Rakshak Kalwani is game developer and founder of VR Playing Games. After completing his engineering degree in 2010 he worked for a few startups and game studios, working on games such as Draw War and educational apps such as Splash Match Grade K before finally starting his own studio in July 2014. My name is Rituraj Behera and I am Co-founder of Cympl, an Indie game studio started back in November 2012. I had begun my career as an application developer but I always loved playing games which attracted me to the fast growing mobile games industry. I had started the organization with a vision to create high quality mobile games and an attitude to learn & improve everyday. It's not that many years ago that China was being heralded as the land of mobile opportunity. Now it's the neighbouring billion population of India which is taking up the mantle as the proliferation of low cost Android devices opens up a new generation of gamers. Indeed, with a recent report predicting that the Indian video games market will exceed $2.8 billion by 2018, it's no surprise that cash-hungry conglomerates are beginning to circle. So we've gathered together a group of Indian mobile games industry experts to drill down into the countries development landscape and shine light on what's really going on behind the scenes. 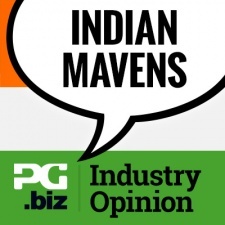 Many people see India as the 'next China' when it comes to mobile gaming. Do you think that's a good comparison? What are the similarities and differences of the market and the development community? India can only be called the "next China" with regards to the mobile gaming growth potential it holds. While smartphone users make up 40 percent of the Chinese population, the number is only 10 percent in India. So there is a huge potential for growth in India to mirror what has happened in China in the last few years. Top grossing Chinese games are Chinese. Top grossing Indian games are Western. While Chinese games have a distinct art style, there is no "Indian" art style yet. 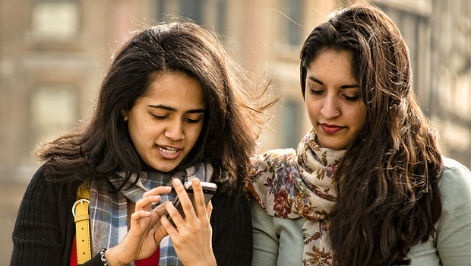 In terms of mobile gaming, India can mostly be considered a Western country with only a few exceptions of games like Cricket and Teen Patti standing out. The Indian market certainly doesn't exhibit the need to consume local content/local regional language oriented content as is shown by the Chinese market . Our audience is very much looking forward to the content created with a western flavour. 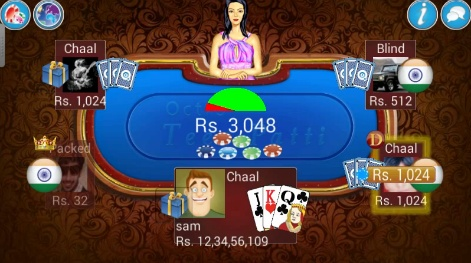 Sure we have Teen Patti or Cricket but by-and-large I feel our sub continent certainly suffers from an identity crisis. We aren't consuming what we can clearly mark as "identifiable to our taste or need"
So, in that light, we will never be the same as Chinese market or the next China! India being compared to China in mobile gaming is a kind of achievement for IndiangGaming ecosystem. The comparison is obviously good. Still, if we consider the audience in China, there is a major percentage that is interested in paying for playing, unlike India. India can surely be as big as China in couple of years but due to the low credit card penetration in India, it seems a slightly difficult task to make up for the revenue what China does. China still has limitations on the user base due to language unlike India which is embracing a western flavor very quickly - soon India should be as big or even better than China in terms of F2P. To further what Abhinav mentioned, not only is our smartphone market share lower, it is also dominated by cheap "smartphones" with very low capabilities to run games. What percentage of people who own these smartphones are actually using them for playing games? While we Indians love to quote the 1 billion figure every chance we get, it's important to see what percentage of people who own these smartphones are actually using them for playing games? A lot of people in my extended family and neighbors who originate from rural India are literally afraid to do anything but make calls from their smartphones. They are certainly not alone. Besides this a large amount of India still doesn't speak/read English or even Hindi. (Less than 30 percent of India speaks Hindi and we have over 27 national languages in our constitution, all of which are actively used, and more dialects). I don't see this amount of effort in localization being feasible with most of the handset base not able to give good gameplay experience. Coupled with the hesitancy to pay for/in games using credit cards, debit cards, prepaid cards, the situation doesnt look amazing for big studios either. There may be a few parallels but on the whole India, if at all, will have its own mobile game dynamic which will only begin a few generations down. We have a good chance to be even better than the Chinese gaming industry. According to UN reports, India has largest youth population in any country across the globe - a whopping 356 million youth aged between 10-24 years old. I carried out a small survey in the city of Nasik where my company is based that studied youth aged between 18-24 across ten engineering colleges. The results concluded that six out of every ten youth in these colleges have a good Samsung phone or at least one iPhone user, which is again a good sign. Yes a lot of education about gaming is required, but we have a good chance to be even better than the Chinese gaming industry. We just need to come up with more Indian-themed game ideas to attract people in India, and target our youth. One advantage we have over the Chinese industry is at the development end. We play a lot of games that are topping charts in other countries while the predominant language that games are played (and developed) in here is English, which ensures that the door is still very much open for local developers to tap into the international market. It's just a matter of time before the Indian development scene makes a substantial dent internationally, and this sets us apart from China, whatever similarities you may be able to draw about the markets otherwise. Yes, but walking through that door isn't just chance. It's a focussed and intense effort. Usually small studios and indies need to take a call on where they want to focus those efforts, local or international markets. India is similiar to China only in the size of its population and the potential it brings with it. The key problem to overcome is the perceived value of games and virtual goods in games today. As the rest have mentioned, there are acutely unique issues that are specific to India that separate us from China or any other market and in my opinion will slow down the speed of large scale adoption of games in India. As Shailesh mentioned, language is a big one. I'm not as concerned about the quality of the phones hindering the ability of a person to play, I've seen people from every demographic and economic strata using their phones (feature phones to smartphones) as an entertainment device. Perhaps more so than a telephone. People understand the value of these devices bring and are using them for it. The key problem to overcome is (and this is a global problem) the perceived value of games and virtual goods in games today. This is where east Asia has really been most successful. Tencent and the wide use of Q coins for virtual goods represents that the Chinese see virtual and physical goods very similiarly and are comfortable with spending on both interchangeably. Definitely. Targeting both markets simultaneously may not necessarily be feasible, and even if a studio focuses on cracking the international market, a success doesn't guarantee that the game will do well at home. Those that target the international market do, however, bring back their specific experiences to the development community, and contribute towards the diversity of games coming out of the region. With a stronger link to the international market and the potential of games going both ways, we're better equipped to experiment, learn and improve the quality of the games we make - and this benefits even those who don't have their eyes set on foreign shores. The polish and execution that's required to make it in the international market helps to raise the standard when people realize that local developers are very much capable of delivering that quality. How many of us have really targeted specifically the Indian user for our games ? Other than Teen Patti and Cricket? I have worked on several IP related Indian game titles in the past and also on games which don't really have a "local" context and can appeal to users in any demographic (like HUEBRIX, Socioball). Even in the case of huge cricket or Bollywood IP related games at these previous studios, we never saw willingness to pay for games. Perhaps because people who are willing to pay for games don't necessarily look for Bollywood or cricket related content. Where is the real strength for India? More so, when we speak of targeting local Indian mobile gamers, are the Chinese also limited to creating games based on sports and movies or do you see them adopting their culture/cartoons/animes etc on a larger scale than us? So the real question is, where is the real strength for India? Is it only in the UN reports for the number of young people we have adopting smartphones? Or is it something more? Perhaps we aren't short on cultural/local content, and indeed there is a lot for us to tap into. But we feel the audiences here don't match up in terms of purchasing power or enthusiasm levels for appreciating anything other than cricket or Bollywood. I think it comes back to what Abhinav mentioned, the top ranking games in India are all western ones. The youth here prefer to play Clash of Clans over a Halwai Crush - at least so far. I think it goes deeper than that. My hunch is that the majority of game players in India do not have specific tastes in gaming beyond general taste in Bollywood/cricket and racing. They download what they are shown on the store fronts if it is free and small in file size. If they were shown Halwai Crush on the store front as consistently as Subway Surfer, Temple Run or Candy Crush and matched the other attributes I spoke about earlier we could just as easily see that take off. I think original IP games like Tiny Mogul's Shiva have been featured by Google in India but have not had anywhere near the success of international titles here. I dont think we can say the audience doesnt have any tastes, while yes they may be more prone to download something on the front page, I dont think they will download "anything" that is shown. In terms of revenues if we check the respective app stores then the top grossing games in China are Strategy games, Card games and puzzle games, which is very similar to the Indian market. But the total revenues generated in China is a lot higher compared to India where revenues are mostly generated though ads. This is because most Indian smartphone users have budget smartphones and low credit card penetration. As far as development community is concerned there are a lot of incentives in China for developing games for the local community due to the high revenues generated by Chinese mobile games. Also, the infrastructure and exposure is much better in the Chinese game development community. In India we are still at a very nascent stage of game development and only recently most studios have come up and taken mobile game development seriously. The games developed though are mostly card games, cricket and Bollywood IP related. 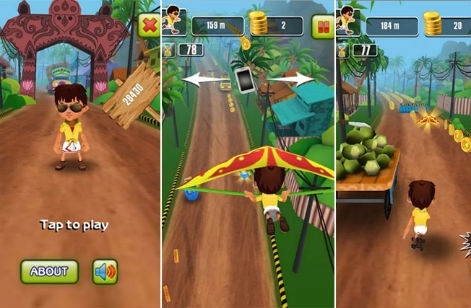 Also some Indian mobile games are developed for global appeal. Infrastructure and monetization for Indian game development community is something that still needs a lot of work, but I am sure that as the market size increases things will get better. Overall I think it is a fair comparison that India is the next China if we see in terms of market potential and future growth. But we as Indians still have a long way to go in terms of maturing as gamers, having better smartphones, playing more games and converting into paying customers. Even the development community, though headed in the right direction still needs a lot of mentoring, the right infrastructure support and most importantly a desire to share and exchange knowledge. How do we get Indian players to pay for mobile games? Is Shilpa Shetty's newly co-founded Viaan Studios set for success?